After the Gulf War in 1991 black snow fell in parts of the Middle East caused by the smoke from all the burning oil in Kuwait. With nuclear weapons humanity possesses the power now to create a nuclear winter where the sun’s light would be blotted out due to so much smoke in the atmosphere. 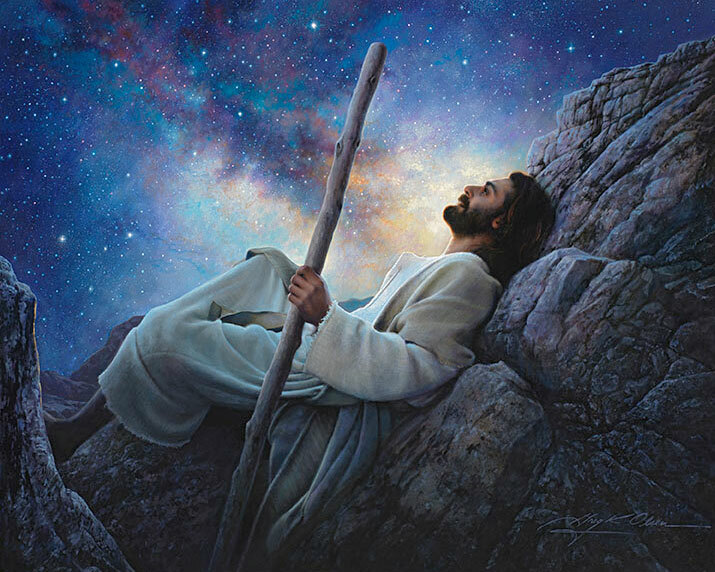 It is sobering to think that we now have the power to fulfill Jesus’ words in today’s Gospel when he said the sun will be darkened, the moon will lose its brightness, stars will fall and the powers in the heavens will be shaken (Mark 13:24-25). Jesus made that statement not to frighten us but to remind us that there is nothing permanent in this world and to live with an eye on the End because when he comes again the world and the cosmos will be dissolved. Jesus said those words to give us a second chance, a second chance at living as he asks, a second chance at preparing for judgment, a second chance at preparing for our death. In 1981, a man left $57,000 in his will to Jesus. It was for His own use when He returned at the Second Coming. The money was to be invested at the highest interest in the meantime. Does anyone really think that Jesus will be shopping at a posh department store for a new seamless robe and sandals upon His return? Does anyone feel money is what He shall require from us at the Parousia? Is this what the Nazarene is all about? Christ is more interested in the way we conduct our lives this moment rather than tomorrow. He is more eager to see us improve life for others today than He is to remove us from it. Andrew Greeley has some wise thoughts on this point. The Second Coming, the New Age, the New Epoch, he says, can and should be happening throughout this day and week. I saw the Second Coming at a Soup Kitchen where I worked. A white woman volunteer gave a black man soup, pasta, and coffee. As he was leaving, he thanked her. Then she noticed the bad condition of his shoes. She told him to wait. From the clothing closet, she brought several pair. The woman got down on her knees and fitted each pair. Finally, she found his fit. In this forty minute encounter, Jesus in His Second Coming was present. I was watching Him washing His apostles' feet all over again. I witnessed the New Age today at a fast-food restaurant. A busload of children treated their waitress with kindness. "Please" and "thank you" were more plentiful than hamburgers and cokes. They cleaned their table. They left a generous tip and a happy waitress. There was no doubt but that the Lord was present. I see the New Epoch every time one of you gives me $100 and asks me to give it to a family having a difficult time. If one looks sharp enough, you can see a smile on Christ's face. I observed the New Order yesterday. I was lost and could not find the correct road. I asked directions of a young man. Though he was in as much a hurry as I, he U-turned and told me to follow him for several miles. Then he put my car on the correct road. Can you not hear Jesus applaud as I tell you this story? I heard of the Second Coming yesterday. A mother told me of her return from a long journey. On her kitchen table, she found a dozen carnations waiting to greet her. The benefactor was her teen son. That day she saw Christ in her boy. I saw the New Epoch last week. A priest had heard that hostiles in a parish were gleefully giving another priest, whom he hardly knew, a hard time. He phoned. "May I buy you a good lunch?" The trip cost him not only the restaurant bill but also a round trip of 140 miles, and over half a tank of gas. Was not the Nazarene riding with him that day? You, I am sure, can fill in the blanks and tell me of the times when you saw the Second Coming this past week. And hopefully you were the cause of it. If negative, just as hopefully you will bring it about tomorrow. We ask Jesus, "How do we prepare for dying?" He responds, "By living." As Greeley says, the answer to the "when?" of the Second Coming can be readily given. The Lord is present anywhere people treat each other with gentleness, generosity, and thoughtfulness. A man helped Mother Teresa in Calcutta. He was swept off his feet as he watched the small giant wash sick bodies. He said to her, "I want to remain here permanently with you." The woman, whose wrinkled face showed thousands of miles of wear, said with a smile, "No, no. It is but an illusion. Go home and bloom where you are planted. The message that each one of us is a member of God's family is as much needed where you came from as it is here. We must do small things with great love." This last line so moved US President George W Bush that he quoted it in his brief inaugural address in Washington, DC in 2001. This week why not see how many times you yourself can bring Jesus back to earth? Here's a proverb to motivate you. "I sought my God; my God I could not see. I sought my soul; my soul eluded me. I sought my neighbor, and I found all three." Become God's miracle for somebody today. This is the final teaching of Jesus’ public ministry. The language is very symbolic but through our meditation we will be able to enter into it and really enjoy it. The whole passage is under the heading that this is what Jesus said to his disciples. We can begin by asking ourselves who was the person who spoke to us in this way? It could be anyone; often we find that it was someone we had never thought of as having been sent to us by God. Now we can recognize that he or she (or perhaps they) were truly a “divine” person. Perhaps it was one of our children; a person in our neighbourhood we had thought little of; or someone from another faith we had tended to look down on. Now we recognize that they were sent to us by God, sent by him to stir us up. They remind us of deep lessons we could learn from the evil we see going on all round us. It was a “time of distress”, many things had gone wrong for us, but life teaches us that times like that also contain an important message for us. Now we can see this more clearly than ever before. We can divide the passage into three sections. They are connected of course, but the language is very symbolic and it would be better to focus on one at a time, allowing each to touch us very deeply. Let’s take verses 24 to 27 first. They tell us of the breakdown of stable parts of our surroundings. Things we had taken for granted we couldn’t do without; now life has taught us that we can well survive without them. – the gathering of God’s faithful. While areas were being destroyed which we thought we couldn’t do without, God’s faithful ones, his true citizens, were now being gathered into one community, a very happy zealous community. It was the kind of community that many of us outside are not involved in, but we know now that it was really a true and easily verifiable community. This is a teaching about the end of the world. We must however start by letting it remind us of other experiences, times when things whose disappearance we believed would mark the end of our little world actually disappeared – and yet we survived! Things that we had thought were destined to last forever turned out to be just temporary. We had taken things for granted – now we are taught by life that it was merely our little “private world” which has come to an “end”. The ancient order has truly passed away and we are now well and truly into a new one. It is one that we hadn’t prepared ourselves for; it’s advent took us by surprise. These experiences occur both for communities and for individuals. There were times when we thought that provided we were faithful to certain circumstances our life, our community, would be fine. Now we know how inaccurate our little prejudices were. In verses 28 and 29 we read the parable of the fig tree. It speaks to us about life and how it turns out for us. Even in an atmosphere of winter, a small sign of hope was present among us. We can look back now and see how it was there – even though we didn’t recognize it at the time. Now we can see it for what it really is. In verses 30 and 31, Jesus gives a sense of urgency to the parable. He assures us that whatever happened to him, his words will not pass away – they will last forever. This was a true prophecy in the time of Jesus; in what sense can we say that it is always true when it happens to us today? We need to put our views of life forward with the same sense of self-confidence, the sense that this is really what God wants us to say to others. We ourselves are significant. We had not seen the connection between the commandment and God’s pleasure in what we do. As we read it here, it is a statement made by Jesus to us. We must now ask ourselves to what extent can we Christians speak with similar confidence about our own statements to the world of today? They are our own ideas of what is right and what is wrong. We do not say them with the confidence that this is really what God wanted us to say to our people and indeed to the whole world. Verse 32 can stand by itself as a powerful statement of faith in God’s future. Only the Father knows what was really happening to us. The angels did not and neither did the Son. We can often think of similar surroundings now. We tended to look to the angels or to the Son to give us a correct answer but find none from them. We must therefore have confidence to say what we truly believe in. – we lost someone dear to us. Our world fell apart in those days, after that time of distress. and the great powers of heaven were shaken. – friends rallied around us. from the ends of the world to the ends of heaven. developed countries and third world countries. whom in our willfulness we had scattered to the four winds. new and wonderful things will have taken place. but your love for us will not pass away. without having to worry about when or where it will bear fruit. no one but you, our loving Father. “The dark period is over and Europe is on the threshold of a new era.” …Pope John Paul II, Aug. 1991.
are being gathered to build a new future. Autumn is turning into winter, the leaves have fallen, the cold darkness seems to be ever more present – and for us, Christians, our thoughts turn to the end of time. But rather than the end of time being an apocalyptic prospect, we journey onward with the confidence that the Lord who is the judge of the living and the dead is also the one who is the healer, who reconcies and forgives, the prince of peace. It is in his presence that we have gathered, rejoicing that this meal is the anticipation of the heavenly banquet. He will come again in glory to judge the living and the dead, and his kingdom will have no end. Unfortunately, the image of today’s gospel is so striking that down the centuries generations of Christians have be-come so excited about the ‘apocalypse’, that they have for gotten that proclaiming that the Lord will come at the end oi time is only the second half of the equation. So what is ihe first half? 3. To profess to be a follower of Jesus is to assert that he is the Alpha – there at the beginning – and the Omega – there at the End – and with us now. 4. But what does this mean? It means that we have to think of ourselves, all living creatures, and all creation as in a situation between God s love at the Alpha, the beginning, and God’s love at the Omega, the end. 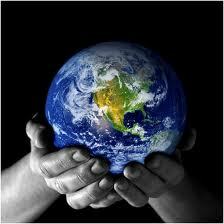 Between these times we have been entrusted with the creation: we hold all creation, all life, on trust from God. 7. During the coming weeks we shall hear many reports in the media about climate change. We will hear of a new initiative to cut down on energy use. We may take a load of bottles to the bottle bank for recycling, or we might just switch off some lights or gadgets that are running on stand-by. When we hear these reports or do these things, we might think that all this has little do with religion or faith or waiting for the Lord to return to judge the living and the dead: we could not be more wrong. We, as the people who have professed the universe to have been made through the Son and who believe he will come again, are the people who can set all ecological concerns in context. The creation is God’s; we have been entrusted with it; we are called to be good stewards. The last chapter of Mark before the events of the Easter is sometime called a ‘tittle apocalypse’. Aware of their Jewish roots, the first Christians made use of apocalyptic writing to present the victory of Jesus over sin and death. Their belief was that the resurrection had ushered in the last days and that Jesus would return soon. Therefore there was an urgency to their preaching of the gospel and we get a flavour of that from this reading. As we approach the end of another liturgical year, the church invites us to reflect on the fact that we are moving towards an ultimate goal, and that no matter how bad things may get God has triumphed and will triumph again. This type of literature is hard for us to relate to as it seems rather dark and fantastic but it is a literature of hope and that is its perennial value. The people for whom both our readings for today were written were probably spending much time thinking about the future and wondering were was God to be found in the violence and bloodshed that was going on around them. In these communities were two people whose names we do not know who had a vibrant vision of hope and they made it their business to share it with those around them.’ ‘Our God will not fail us so do not give up in the face of hopelessness or despair’ was the gist of their message. This is still the heart of the gospel message, so let’s ask or the faith to believe it and the courage to share it. The tree was a big image for Jesus – he spoke many truths of his message pointing at trees, like mustard seeds which grew big, vines that withered, and the fig tree which was common to his hearers. When asked about the signs of things to come, he gave no long homily, but just looked at the fig tree and said you know from this when summer and winter is coming. In the same way we can sense his presence in our lives in different ways. This may not help us to know about the end of time and the questions people had then, but it can get us to become aware of how God is present in our lives. The word of God is spoken in the human words of many people. In kindly words, in forgiving and tolerant words, and also in the word of God spoken in the Mass, Jesus speaks to us today. 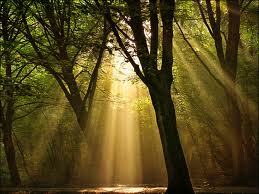 Like the people looking at a fig tree, we can find his presence in the kindliness and the helpful words of another. This is the word of God in human form. It will not pass away. We are called to speak his word in our way of life: to be friends of the earth, friends of all people, and friends of the poor. That’s redemption, Jesus and ourselves working in unison. God’s book of compassion and love includes our names. We can be thankful our are names are in the book of life. The first generation of Christians expected Christ to return in their lifetimes. When their world began to collapse around them under the Roman onslaught of Jerusalem, they wondered in their anguish, When will Jesus return for us? The signs of the end times should not frighten us or terrify us into submission before the horrible wrath of God; Jesus urges us, instead, to recognize such “signs” in a spirit of hope and a perspective of faith in God’s providence: to appreciate what a precious gift our limited time on earth is; to realize that every changing world and passing stage, every pain and triumph, are opportunities for growth, maturity and understanding of the transforming presence of God in one another; to embrace change -- the passing away of our own “heaven and earth” -- as part of our journey to the dwelling place of God. The unsettling images Jesus articulates in today’s Gospel confronts us with the reality that the things we treasure – our careers, our portfolios, our bodies, our celebrity -- will one day be no more and that our separation from them will be bitter. The “signs” that Jesus speaks of in today’s Gospel are all around us; the “fig tree” grows and blossoms in the lives of every one of us. With eyes and hearts of faith, we can recognize such “signs” of God’s love in our midst. The Gospel fig tree challenges us to listen beyond mere words, to look deeper than the surface, to realize the presence of God in times and places when and where God seems to be absent. While on a skiing holiday, a young man became separated from his party and spent three days in below-zero weather. He managed to survive, but he suffered extensive damage to his feet. So severe was the frostbite and gangrene that doctors wanted to amputate his right foot. The young man flatly refused. Gradually he became sicker and sicker as the toxins from his injured foot began to flood his body. His family and friends were desperate, but he would not be moved. He would keep his foot. The situation came to a head one evening when a team of surgeons reviewed his most recent lab studies and assessed his worsening condition. Finally, his fiancée, overwhelmed by the possibility of her beloved’s death, could take it no more. Weeping, she tore his engagement ring off her finger and thrust it onto the swollen black toe of his right foot. The small bright diamond, surrounded by the black and rotting tissues of his foot, sparkled with life. The young man said nothing and closed his weary eyes. The next day, he scheduled the surgery. The young man later said his fiancée’s dramatic gesture had helped him see that he was more attached to keeping his foot than he was committed to life. He had been married to his foot. The unsettling images Jesus articulates in today's Gospel confront us with the reality that the things we are “married” to – our careers, our portfolios, our bodies, our celebrity – will one day be no more and that our separation from them will be bitter indeed. Christ calls us to embrace, not the things of the body but of the soul, not the things of the world but the things of God: the lasting, eternal treasures of love and mercy, the joy that comes only from selfless giving, the satisfaction that comes from lifting up the hopes and dreams of others. Today we begin our annual tour through Apocalyptic literature. Both Daniel and Mark describe the end times, the final reckoning time when the Lord God and His Son Jesus will triumph over sin and death. The apocalyptic writings are charged with poetry, metaphor, fantasy. We must not make the mistake some of the fundamentalists do and interpret these passages literally. However, we must not make the opposite mistake of dismissing them as “nothing but” poetry. Metaphor tells us truth more fully and more adequately than does plain prose. The truth is Heaven and Earth may indeed pass away, but not before the Final Resolution in which good triumphs over evil an life over death. We don’t know when or how that will happen. Those issues really don’t matter. What does matter is that Jesus and his true followers will finally win. Once upon a time a TV commentator (on PBS) delivered a pessimistic editorial on a Friday evening broadcast (taped earlier in the day). The world was in grim shape, he told the camera. Global warming was worse than anyone had thought it was. The population of the world would double again in the next twenty year. It was likely that an asteroid would hit earth before the end of the next century. Rage was increasing the third world countries against our wealth. The races were polarizing in America. The crime had turned up again. Our schools were total failures and would not, could not get any better. There was a drug and alcohol epidemic in white suburban high schools. Divorce rates were increasing. Abortions were at an all time high. A wave of bad news was sweeping the earth and thee was nothing anyone could do about it. When the taping was over, he got into his Mercedes and drove rapidly into the country to escape the Friday night traffic rush. At his house on the shore of the lake, he relaxed in the sauna, sipping from a large glass of Barolo wine, swam in the pool, wrapped himself in a robe, and sat on the deck as the sun set. He poured himself a second glass of wine and, as the sky turned red and then purple that life was very good indeed. 1) The end time phobia: French "prophet" and astrologer Nostradamus (1503-1566), foretold that the world would end when Easter fell on April 25. This happened in 1666, 1734, 1886 and 1943; it will occur again in 2038. In 1379, St. Vincent Ferrer (1350-1419), a Spanish Dominican monk, basing his prediction on the number of verses in the Book of Psalms (2,537 verses), predicted the demise of the world in AD 3936. By the end of 1998, the Mount of Olives Hotel, run by Palestinian Muslims, wrote to 2,000 Protestant Christian groups in the U.S. asking "How would you like to be reserving your rooms at the Mount of Olives Hotel, to wait for the ‘second coming’ of Jesus on the first day of the new millennium, 2000 A.D.?" Scientists, also, fueled public anxiety by citing a series of possible ways, including, nuclear war and collision with a comet, in which the world could come to an end. A very popular book in 1989 was 89 Reasons Why the World will End in 1989. The Jehovah’s Witnesses frightened gullible followers at least 3 times during the last century with their “end of the world” predictions in 1914, 1918 and 1974. It is this paranoid fear that led people to die in the mass suicides organized by Heaven’s Gate and Jim Jones. The film Omega Code, released in October, 1999, was an independent movie funded by the Trinity Broadcasting Network, the largest Evangelical Christian TV network in the U.S. It was promoted by a team of 2,400 U.S. Evangelical pastors. The plot involved a portrayal of the “rapture” at the imminent “Second coming” of Jesus , when “born again” and "saved" Christians, both alive and dead, are supposed to fly upward in the air to meet Jesus. The film was rated in the top 10 grossing movies for October, 1999. Over 17 million copies of Tim LaHaye and Jerry Jenkins' novel Left Behind on the “Second coming,” were sold by July 27, 2000. This is how modern man reacts to the reality of the coming of the end of the world. Hence, today’s readings remind us that we should be well prepared and always ready to meet Jesus at any time, daily in our brothers and sisters and at the end of our lives or the end of the world, whichever comes first. Who cares about the Second coming? : There is a second group of people who ignore Christ’s Parousia and stick to their addictions. A woman was hurrying home from work. This was her Bingo night. Suddenly she spotted this fellow standing on the edge of the pavement holding aloft a placard which read: The end of the world is near. She went up to him and said, ‘You say the end of the world is near.’ ‘That’s right, missus,’ he replied. ‘But are you sure?’ ‘Quite sure, missus.’ ‘And you say it’s near.’ ‘Yes, missus.’ ‘How near?’ ‘Oh, very near.’ ‘Could you be more precise?’ ‘This very night, Missus’. She paused for a moment to reflect on this. Then in a voice full of anxiety, she asked, ‘Tell me, son. Will it be before or after Bingo?’ (Flor McCarthy in New Sunday and Holy Day Liturgies). 3) A motorist with poor eyesight was driving through a dense fog and was trying desperately to stay within range of the taillights of the car ahead of him. As he squinted and worried his way along, trying to stay on course with those taillights, the car in front suddenly stopped, and his car hit the car in the front. The driver of the rear car got out and demanded to know why the other driver came to such an abrupt stop. "I had to," he replied, "I'm in my own garage!" 4) Once upon a time a TV commentator (on PBS) delivered a pessimistic editorial on a Friday evening broadcast (taped earlier in the day). The world was in grim shape, he told the camera. Global warming was worse than anyone had thought it was. The population of the world would double again in the next twenty year. It was likely that an asteroid would hit earth before the end of the next century. Rage was increasing the third world countries against our wealth. 5. "You’ll wish you were Jewish!!" A Protestant minister and a Catholic priest enjoyed teasing their Jewish rabbi friend, continually asking him when he was going to convert to their faith. When the Holidays rolled around, the rabbi sent them a card with the following: "Season’s Greetings! Roses are reddish, Violets are bluish; When the Messiah comes, you’ll wish you were Jewish!!" 6. Missed the “rapture” by a minute: A certain man, Herbert Washington by name, was so taken up by the nearness of Christ’s second coming and “the rapture” that he became a pain in the neck to his coworkers. So his coworkers hatched a plan to pay him back in his own coin. One day, when Herbert went to the washroom, they laid their work clothes on their chairs and hid in the supply room. When Herbert came back from the washroom, he thought the rapture had taken place. The Muslim janitor, who was part of the joke, pretended to have witnessed everyone disappear and ran around the office feigning panic. Herbert fell to the ground clutching his heart and screaming, "I knew you'd forget me, Jesus! What did I do wrong?" He was rushed to a local hospital with what was diagnosed as a mild heart attack. (Fr. Munachi). 7. The Second Coming. A Sunday school teacher asked his class, “If I sold my house and my car, had a big garage sale and gave all my money to the church, would that get me into Heaven? “NO!” the children all answered. “If I cleaned the church every day, mowed the yard, and kept everything neat and tidy, would that get me into Heaven?” Again, the answer was, “NO!” Again the teacher asked, “Well, then, if I were kind to animals and gave candy to all the children, and loved my wife, would that get me into Heaven?” Again, they all answered, "NO!" “Well then how can I get into Heaven?” A five-year-old boy shouted out, “YOU GOTTA BE DEAD!” Good insight for a five-year old! 8. Somnambulist or Methodist? "Be constantly on the watch! Stay awake," Jesus commands. The signs-of-the-times are such that, clearly, this is no time for somnambulists. A somnambulist, as you know, is a person who walks in his sleep. On the eve of his wedding, a young man decided to confess all to his fiancée. He went to her and said, "My love, there is something I feel I must tell you before we are married; something you must know. It may make a difference in your feeling toward me. You see, I am a somnambulist." The young lady thought for a moment, then replied, "Oh that's all right. There's no problem. I was raised a Methodist. We can go to your Church one Sunday and to mine the next." #1: Scientists on the end of the world: Scientists have fueled public anxiety by citing a series of possible ways in which the world could come to an end, e.g. (a) Sucked into a black hole. A large dead star which has collapsed and has become so incredibly dense that even light cannot escape it, a “black hole” is thought to be a fatal attraction for any nearby matter; (b) Climate change. Another ice age or glacial period is expected in 2,000–10,000 years; if and when it occurs, over eight billion people will try to survive on 30% less land mass; (c) The Greenhouse Effect. A predicted temperature increase of 6o F is expected by the year 2030; if this occurs, polar regions will thaw, ocean levels will rise and vast areas of earth will be flooded; (d) Collision. Earth may be hit by a meteorite, asteroid or comet; (e) Cosmic Rays. Earth’s magnetic field is waning at present, making it susceptible to the rays of an exploding supernova and/or solar flares; (f) Nuclear War and its Aftermath. A familiar and frightening scenario: a possible nuclear war could wipe out up to 90% of the U.S. population and 50% of that of Russia; (g) The Death of the Sun. Considered as the ultimate disaster, the eventual cooling of the sun will occur only after an intense period of heating up which will boil away earth’s oceans and bake its crust unto lifelessness. [Patricia Datchuck Sánchez, Celebration.] But Today’s readings give us the assurance that our God will be with us all the days of our lives and that we will have the ongoing presence of the Holy Spirit in our midst guiding, protecting and strengthening us in spite of our necessary human uncertainty concerning the end time when “Christ will come again in glory to judge the living and the dead.” So, the Church advises us to entrust the unknown and unknowable future to God’s caring and capable hands. #2: Missed the “rapture” by a minute: A certain man, Herbert Washington by name, was so taken up by the nearness of Christ’s second coming and “the rapture” that he became a pain in the neck to his coworkers. So his coworkers hatched a plan to pay him back in his own coin. One day, when Herbert went to the washroom, they laid their work clothes on their chairs and hid in the supply room. When Herbert came back from the washroom, he thought the rapture had taken place. The Muslim janitor, who was part of the joke, pretended to have witnessed everyone disappear and ran around the office feigning panic. Herbert fell to the ground clutching his heart and screaming, “I knew you’d forget me, Jesus! What did I do wrong?” He was rushed to a local hospital with what was diagnosed as a mild heart attack. (Fr. Munachi). #3: The Second Coming. A Sunday school teacher asked his class, “If I sold my house and my car, had a big garage sale and gave all my money to the Church, would that get me into Heaven? “NO!” the children all answered. “If I cleaned the Church every day, mowed the yard, and kept everything neat and tidy, would that get me into Heaven?” Again, the answer was, “NO!” Again the teacher asked, “Well, then, if I were kind to animals and gave candy to all the children, and loved my wife, would that get me into Heaven?” Again, they all answered, “NO!” “Well then how can I get into Heaven?” A five-year-old boy shouted out, “YOU GOTTA BE DEAD!” Good insight for a five-year old! 1) The end time phobia: French “prophet” and astrologer Nostradamus (1503-1566), foretold that the world would end when Easter fell on April 25. This happened in 1666, 1734, 1886 and 1943; it will occur again in 2038. In 1379, St. Vincent Ferrer (1350-1419), a Spanish Dominican monk, basing his prediction on the number of verses in the Book of Psalms (2,537 verses), predicted the demise of the world in AD 3936. By the end of 1998, the Mount of Olives Hotel, run by Palestinian Muslims, wrote to 2,000 Protestant Christian groups in the U.S. asking “How would you like to be reserving your rooms at the Mount of Olives Hotel, to wait for the ‘second coming’ of Jesus on the first day of the new millennium, 2000 A.D.?” Some scientists fueled public anxiety by citing a series of possible ways, including nuclear war and collision with a comet, in which the world could come to an end. A very popular book in 1989 was 89 Reasons Why the World Will End in 1989. The Jehovah’s Witnesses frightened gullible followers at least 3 times during the last century with their “end of the world” predictions in 1914, 1918 and 1974. It is this paranoid fear that led people to die in the mass suicides organized by Heaven’s Gate and Jim Jones. The film Omega Code, released in October 1999, was an independent movie funded by the Trinity Broadcasting Network, the largest Evangelical Christian TV network in the U.S. It was promoted by a team of 2,400 U.S. Evangelical pastors. The plot involved a portrayal of the “rapture” at the imminent “Second coming” of Jesus, when “born again” and “saved” Christians, both alive and dead, are supposed to fly upward in the air to meet Jesus. The film was rated in the top 10 grossing movies for October, 1999. Over 17 million copies of Tim LaHaye and Jerry Jenkins’ “Second Coming” novel, Left Behind, were sold by July 27, 2000. This is how modern man reacts to the reality of the coming of the end of the world. Hence, today’s readings remind us that we should be well prepared and always ready to meet Jesus at any time, daily in our brothers and sisters, and at His Final coming for us — at the end of our lives or the end of the world, whichever comes first. 2) Bingo first! Who cares about the Second coming? There is a second group of people who ignore Christ’s Parousia and stick to their addictions. A woman was hurrying home from work. This was her Bingo night. Suddenly she spotted this fellow standing on the edge of the pavement holding aloft a placard which read: The end of the world is near. She went up to him and said, “You say the end of the world is near.” “That’s right, missus,” he replied. “But are you sure?” “Quite sure, missus.” “And you say it’s near.” “Yes, missus.” ”How near?” “Oh, very near.” “Could you be more precise?” “This very night, Missus.” She paused for a moment to reflect on this. Then in a voice full of anxiety, she asked, “Tell me, son. Will it be before or after Bingo?” (Flor McCarthy in New Sunday and Holy Day Liturgies). 3) The Judgment Day: President John F. Kennedy was very fond of a particular story, which he often used to close his speeches during his 1960 presidential campaign. It is the story of Colonel Davenport, Speaker of the Connecticut House of Representatives back in the year 1789. One day, while the House was in session, the sky of Hartford suddenly grew dark and gloomy. Some of the Evangelical House representatives looked out the windows and thought this was a sign that the end of the world had come. Uproar ensued, with the representatives calling for immediate adjournment. But Davenport rose and said, “Gentlemen, the Day of Judgment is either approaching or it is not. If it is not, there is no cause for adjournment. If it is, I choose to be found doing my duty. Therefore, I wish that candles be brought.” Candles were brought and the session continued. Today’s readings contain the same message: we need always to be prepared to receive Jesus at his second coming by accepting him now as our personal Savior and doing now what he has commanded us to do. 6) More endtime fixations: Endtime fixations are not exclusive manifestations of ancient communities. On October 23, 1844 thousands of Christians sold their earthly possessions, dressed in white robes, climbed to the tops of the highest mountains they could find, climbed to the tippy-tops of trees to get even higher, and waited for Jesus to return. They had been told this was the date by William Miller, a farmer from western New York who dabbled in apocalypticism which led him to declare this as the date of Jesus’ return based on his exegesis of the Scriptures. When no one went anywhere but down the mountain, he announced a calculation error. The real date was to be six months later, which also came and went as his followers now went . . . away . . . for good. Jim Jones was another apocalyptic leader. In the 1970s he moved his People’s Temple Full Gospel Church from San Francisco to Guyana, where he could wait for the endtime by creating a community that would live as if the endtime had already occurred. On November 18, 1978, Jim Jones and 911 of his followers ended their wait for the endtime by drinking cyanide-laced Kool-Aid. Other apocalyptic communities, from Mother Ann Lee’s Shakers to John Humphrey Noyes’ Oneida Community, sublimated their endtime energies into crafting, the first, Shaker furniture and the second, Oneida silverware. Jesus’ words to his disciples this morning warn us against such idle speculations or apocalypticism. Apocalypticism can be defined as a set of beliefs and behaviors flowing from the assumption that humans are able to discover the date of the coming consummation of time, the coming Day of the Lord and the return of the Son of Man by using the speculations, learning and lore of sages and scholars, ancient and modern. 7) Still more Doomsday bluffing: Anticipating the end of the world in 1975, twenty-four men, women, and children from Grannis, Arkansas, moved into one tiny house and waited there for ten months. The end did not come as they had expected, and they were evicted for not paying their rent. In 1986 a man named Richard Kieninger of Garland, Texas, organized a group of people to survive the calamities of the end of time. On May 5, 2000, Kieninger’s followers planned to witness the last day from a dirt pile. Similarly in 1525, a German preacher. Johann Stoeffler, predicted the end of the world by flood. All of his parishioners built boats and rafts to survive the end. When the flood did not come, they threw Herr Stoeffler into a deep pond. Such was the case on October 22, 1844. The followers of William Miller, a farmer turned preacher, donned white ascension robes and waited on a hilltop for the Second Coming of Christ. When Christ did not come, they adjusted their beliefs and formed what is now known as the Seventh Day Adventist Church. Jesus said that we should not wait by trying to guess the date. Said Jesus, “But of that day and hour no one knows, neither the angels of Heaven nor the Son, but the Father alone” (Mt 24:36). He wanted his followers to be ready for the day of the coming of the Lord at any time. He said that we must be ready because the Son of Man is coming at an hour we least expect. Jesus’ call is clear. He calls his followers to expect the end – of our own lives, as of the end of the world – to come at any moment. 10) “Does anybody really care?” The musical group, Chicago, recorded a song several years ago asking, “Does anybody really know what time it is? Does anybody really care?” When it comes to predicting the end of the world, Jesus says, nobody knows what time it is but God, so why should the rest of us try to learn it? And he’ll find me hoeing cotton when he comes. 17) The coming of the Lord: A 200-seater amphitheatre, costing 20,000 pounds, was built overlooking the Sydney Harbour, Australia, in 1925, for the second coming of Christ. Members of ‘The Order of the Star of the East’, led by Hindu mystic Krishnamurti, believed that Christ would soon return to earth in human form and walk across the Pacific Ocean to the amphitheatre, When he did not arrive in 1929, the group dissolved, and a block of flats now occupies the site. May we be aware of the signs of His coming and always be prepared! [Anonymous; quoted by Fr. Botelho.]. 18) Cry, the Beloved Country: Alan Paton was a South African writer. Among the books he wrote was the haunting story, Cry, the Beloved Country, which poignantly described the situation in South Africa under apartheid. Paton had a dream. He dreamt of a new day for his beloved South Africa, a day in which there would be justice and equality for all. For this reason, he entered into politics and fought to end the iniquitous system of apartheid. For decades, he followed his dream, and worked generously and courageously to make it a reality. It was a dream that many said would not be realized. Yet it was. Unfortunately, Paton did not live to see it. He died before the dawn. The prophet Isaiah had an even bolder dream, a dream of universal brotherhood and peace. Isaiah’s vision was a splendid one. It would only be realized by the coming of the Lord Jesus. (Flor McCarthy in New Sunday and Holy Day Liturgies). 19) Death comes sometimes in a most unexpected manner. Atilla was the fearsome ruler of the Huns from AD 434 to 453. He was a public enemy to the Roman Empire. Twice he attacked the Balkans; he marched his army through France; and his rulership spread from Germany to the Ural River and from the Danube River to the Baltic Sea. Many today regard him as a monster, a cruel dictator who ruled through fear. His death was really mysterious. He died on his wedding night from a simple nosebleed. Bruce Lee’s son Brandon was on the set of the film The Crow in which he was playing the lead role. One scene required Lee to be shot by a prop-gun firing blanks. The gun had been used several times before in filming but a cheaply made round of blanks had lodged part of the lead in the barrel of the gun. It caused his death. Jesus said: “But as for that day or hour, nobody knows it.” Hence he asks us to be prepared. None of us is guaranteed the next breath. (Fr. Bobby Jose). 20) “I shall return!” The Japanese bombed Pearl Harbour in Hawaii on December 7th, 1941. Soon after, they invaded and occupied the Philippines. The US General Douglas McArthur was stationed in the Philippines, and on March 11th, 1942, he was forced to leave the islands. Before leaving for Australia, he promised the islanders “I shall return.” On October 20th, 1944, two and a half years later, he kept his promise. He landed on one of the islands and announced, “I have returned.” This heralded freedom for the Philippines. -Jesus assures us: “Heaven and earth shall pass away before my word passes away.” (Jack McArdle in And That’s the Gospel Truth; quoted by Fr. Botelho). 22) Making Adjustments: An old sea captain named Eleazar Hall lived in Bedford, Massachusetts, during the time of the great sailing ships. He was renowned, legendary, and revered as the most successful of sea captains of the day. Captain Hall was often asked about his uncanny ability to stay out so long without navigational equipment. Eleazar simply replied, “Oh, I just go up on deck and listen to the wind and rigging. I get the drift of the sea, look up at the stars, and then set my course.” Well, times changed at Bedford. The big insurance companies moved in and said they no longer insured the ships if the captains didn’t have a certified and properly trained navigator on board. They were terrified to tell Eleazar. But to their amazement he said, “If I must, I will go and take the navigational course.” Eleazar graduated high in his class, and having greatly missed the sea, he immediately took off for a long voyage. On the day of his return, the whole town turned out to ask him the question: “Eleazar, how was it having to navigate with all those charts and equations?” Eleazar sat back and let out a long low whistle. “Oh,” he replied, “it was simple. Whenever I wanted to know my location, I’d go to my cabin, get out my charts and tables, work the equations and set my course with scientific precision. Then I’d go up on deck and listen to the wind and the rigging, get the drift of the sea, look at the stars, and go back and correct the errors I had made in computation.” When I heard that, I prayed, “Lord, I want to know you that way. I want to go up on deck, hear Your quiet Voice in my heart, consider Your eternal Word, and then go back down below and make adjustments to all those fine, logical, scientific plans I’ve drawn up in my head.” Ron Mehl fromSurprise Endings; (quoted by Fr. Botelho). 23) It began in “the hole”! There is a story of a hardened criminal serving a life sentence, who felt such despair that life had no longer any hope for him. His behavior got so mean that he was sent to solitary confinement for three weeks in what was known as “the hole.” One day while in “the hole” a remarkable thing happened. He was lying on the cold cement doing sit-ups when he noticed that something was wedged into the back corner of the cell, under the sleeping platform. He had no idea how it got there but figured a former resident of “the hole” must have left it. He wiggled it out. It was, of all things, a copy of the New Testament. Now the thing that is so remarkable is that the inmate actually began to read from it. The inmate had always been a dynamo of power and energy. Suddenly, he began to wonder what would have happened to him had he used his power and energy for good rather than evil. The thought completely boggled his mind. For a long time he lay there thinking: “Why did God create me? Why did God create someone who would end up behind bars? Why did God create someone who would die to goodness and love and be buried in a tomb of evil and hate in a prison cell?” What happened next is hard to describe. A surprising thought entered the inmate’s mind. The greatest event in history began in a tomb- a tomb just as secure and guarded as his cell. That event, of course was the resurrection of Jesus. A second thought jolted him. What happened to Jesus could happen to him too, in “the hole.” Because of Jesus’ new life and glory, he too could be reborn. He too could be re-created. In a sense he too could rise from the dead. At that moment something roused deep inside him; he felt it stirring. He asked Jesus to come to him and raise him to a new life, to re-create a hardened criminal into a new person. And what happened to Jesus in the tomb happened to the prisoner in his tomb, “the hole.” The resurrection power of God brought him new life. That man was Starr Dailey, who after being released from prison became one of the pioneers of prison reform in the United States. (Mark Link). 24) “But as for that day or hour, nobody knows it.” Atilla was the fearsome ruler of the Huns from 434 to 453 AD. He was public enemy to the Roman Empire. Twice he attacked the Balkans; he marched his army through France; and his rulership spread from Germany to the Ural River and from the Danube River to the Baltic Sea. Many today regard him as a monster, a cruel dictator who ruled through fear. His death was really mysterious. He died on his wedding night from a simple nose bleed. Bruce Lee’s son Brandon was on the set of the film The Crow in which he was playing the lead role. One scene required Lee to be shot by a prop-gun firing blanks. The gun had been used several times before in filming but a cheaply made round of blanks had lodged part of the lead in the barrel of the gun. It caused his death. Jesus said: “But as for that day or hour, nobody knows it.” Hence, he asks us to be prepared.fr. Bobby Jose). The first reading from the Book of Daniel speaks of the end of the world. "There is going to be a time of great distress, unparalleled since nations came into existence." The apocryphal style is a form of writing used by the prophets not to frighten the people. The purpose is not to speak of the future but to look at the present differently. What is happening at present might look terrible; it may appear that we are heading for worse times. Whatever happens, the Lord has not and will not abandon his people. The prophets were reassuring the people, who were losing hope that they should not give up. 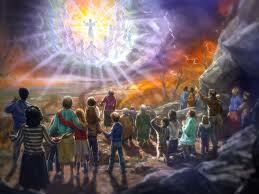 "When that time comes, God's people will be spared. Those who lie in the dust will rise again." In fact, in the midst of death the prophet speaks of the hope of resurrection. No matter how terrible the circumstances that surround us, no matter how hopeless the world around us may seem, our God is a God of hope and new life. The Japanese bombed Pearl Harbour in Hawaii on December 7th 1941. Soon after, they invaded and occupied the Philippines. The US General Douglas McArthur was stationed in the Philippines, and on March 11th 1942, he was forced to leave the islands. Before leaving for Australia, he promised the islanders "I shall return." On October 20th 1944, two and a half years later, he kept his promise. He landed on one of the islands, and announced "I have returned." This heralded freedom for the Philippines. 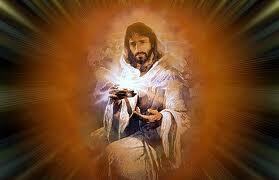 -Jesus assures us: "Heaven and earth shall pass away before my word passes away." In the Gospel of Mark we find similar apocryphal language being used by Jesus as he describes the end of time. "The sun will be darkened and the moon will lose its light and the stars will fall from the heaven." But we have to remember that these are not signs that God is destroying the world but signs that He is coming. In the midst of what is fearful comes the Lord to ease our fear. We may be surrounded by terrible circumstances and calamities but that should not get us down. There will always be difficult moments in our lives. These are not a punishment from God; they are the entry point for His coming into our lives. The important thing is to look beyond, to read the signs of the times and to believe in His reassuring word. What is important is how one looks at all that was happening to us and to our world. Our faith gives us the vision to look beyond the obvious to the deeper reality that is beyond. This faith vision is based on the word of God, and the promise that the Lord gives us. "Heaven and earth will pass away, but my words will not pass away." As we struggle to live in troubled times, as we are battered by the storms of life, as we are harangued by prophets of doom to await the end, only our faith vision will help us to look beyond to the Lord who will never abandon us. The Lord says: "When you call to me I will listen to you, and I will bring you back to the place from which I exiled you." The leader of a certain Indian tribe was dying, so he summoned his three sons and said: "I am dying; before my death, I must choose one of you to succeed me as the head of our tribe. I have the same task for each of you. I want you to climb our holy mountain and bring me back something beautiful. The one whose gift is most outstanding will be the one who will succeed me." 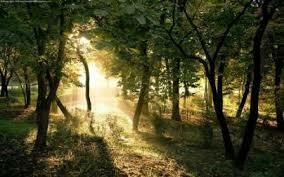 The following morning the sons set out on their search, each taking a different path up the mountain. After several days the sons returned. The first brought his father a beautiful and rare flower that grew near the summit of the mountain. The second son brought his father a valuable stone, round and colourful which had been polished by the wind and the rain. The third son, who came empty handed, said to his father: "I have brought back nothing to show you father. As I stood on the top of the holy mountain, I saw that on the other side was a beautiful land filled with green pastures. In the middle of these pastures is a crystal lake. I have a vision of where our tribe could go for a better life. I was so overwhelmed by what I saw and by what I could see that I could not bring anything back." The father replied: "You shall be our tribe's new leader, for you have brought back the most precious thing - the gift of a vision for a better future." It began in "the hole"! There is a story of a hardened criminal serving a life sentence, who felt such despair that life had no longer any hope for him. His behaviour got so mean that he was sent to solitary confinement for three weeks to what was known as "the hole." One day while in "the hole" a remarkable thing happened. He was lying on the cold cement doing sit-ups when he noticed that something was wedged into the back corner of the cell, under the sleeping platform. He had no idea how it got there, but figured a former resident of "the hole" must have left it. He wiggled it out. It was, of all things, a copy of the New Testament. Now the thing that is so remarkable is that the inmate actually began to read from it. The inmate had always been a dynamo of power and energy. Suddenly, he began to wonder what would have happened to him had he used his power and energy for good rather than evil. The thought completely boggled his mind. For a long time he lay there thinking: "Why did God create me? Why did God create someone who would end up behind bars? Why did God create someone who would die to goodness and love and be buried in a tomb of evil and hate in a prison cell?" What happened next is hard to describe. A surprising thought entered the inmate's mind. The greatest event in history began in a tomb- a tomb just as secure and guarded as his cell. That event, of course was the resurrection of Jesus. A second thought jolted him. What happened to Jesus could happen to him too, in "the hole." Because of Jesus' new life and glory, he too could be reborn. He too could be re-created. In a sense he too could rise from the dead. At that moment something roused deep inside him; he felt it stirring. He asked Jesus to come to him and raise him to a new life, to re-create a hardened criminal into a new person. And what happened to Jesus in the tomb happened to the prisoner in his tomb, "the hole." The resurrection power of God brought him new life. That man was Starr Dailey, who after being released from prison became one of the pioneers of prison reform in the United States. An old sea captain named Eleazar Hall lived in Bedford, Massachusetts, during the time of the great sailing ships. He was renowned, legendary, and revered as the most successful of sea captains of the day. Captain Hall was often asked about his uncanny ability to stay out so long without navigational equipment. Eleazar simply replied, "Oh, I just go up on deck and listen to the wind and rigging. I get the drift of the sea, look up at the stars, and then set my course." Well, times changed at Bedford. The big insurance companies moved in and said they no longer insured the ships if the captains didn't have a certified and properly trained navigator on board. They were terrified to tell Eleazar. But to their amazement he said, "If I must, I will go and take the navigational course." Eleazar graduated high in his class, and having greatly missed the sea, he immediately took off for a long voyage. On the day of his return, the whole town turned out to ask him the question: "Eleazar, how was it having to navigate with all those charts and equations?" Eleazar sat back and let out a long low whistle. "Oh," he replied, "it was simple. Whenever I wanted to know my location, I'd go to my cabin, get out my charts and tables, work the equations and set my course with scientific precision. Then I'd go up on deck and listen to the wind and the rigging, get the drift of the sea, look at the stars, and go back and correct the errors I had made in computation." When I heard that, I prayed, "Lord, I want to know you that way. I want to go up on deck, hear your quiet voice in my heart, consider your eternal Word, and then go back down below and make adjustments to all those fine, logical, scientific plans I've drawn up in my head." A woman was hurrying from work. This was her bingo night. Suddenly she spotted this fellow standing on the edge of the pavement holding aloft this placard which read: THE END OF THE WORLD IS NEAR. She went up to him and said, "You say the end of the world is near." "That's right missus," he replied. "But are you sure?" "Quite sure missus." "And you say it's near." "Yes missus." "How near?" "Oh, very near." "Could you be more precise?" "This very night, missus." She paused for a few moments to reflect on this. Then in a voice full of anxiety, she asked, "Tell me, son, will it be before or after bingo?" - The world in which we live is an uncertain one. It seems to lurch from one crisis to another. This uncertainty can cause great fear and anxiety. In the midst of this uncertainty we need something to rely on. For the Christian that can only mean one thing: faith in God. Years ago an old municipal lamplighter, engaged in putting out his lights one by one, was met by a reporter who asked him if he never grew tired of his work in the cold dark night of labour. "Never am I cheerless," said the old man, for there is always a light ahead of me to lead me on." "But what would you have to cheer you when you have put out the last one?" asked the writer. "Then comes the dawn." said the lamplighter. A man of the world might have asked Jesus the same question. One light after another did he put out: the lamp of popular acclaim, the lamp of patriotic approval, the lamp of ecclesiastical conformity -all for the sake of God's love which burned in his heart and showed him a better way. At last even the light of his life was to flicker out on the hill called Calvary. What then? We hear his voice, "Into Thy hands I commend my spirit," and then the dawn came. Thomas Watson, chairman of IBM, in 1943 said, "I think there is a world market for maybe five computers." Popular Mechanics magazine in 1949 made this prediction: "Where a calculator on the ENIAC is equipped with 18,000 vacuum tubes and weighs 30 tons, computers in the future may have only 1,000 vacuum tubes and weigh only 1.5 tons." There was an inventor by the name of Lee DeForest. He claimed that "While theoretically and technically television may be feasible, commercially and financially it is an impossibility." The Decca Recording Co. made a big mistake when they made this prediction: "We don't like their sound, and guitar music is on the way out." That was their prediction in 1962 concerning a few lads form Liverpool. Their band was called the Beatles. As the disciples walked out of the Temple in Jerusalem Jesus paused, looked back at the Temple and predicted, "Do you see all these great buildings. Not one stone will be left on another." To the disciples this was bedrock. Nothing could bring down these walls. "Look, teacher! What massive stones! What magnificent buildings!" they said to Jesus. The smallest stones in the structure weighed 2 to 3 tons. Many of them weighed 50 tons. The largest existing stone, part of the Wailing Wall, is 12 meters in length and 3 meters high, and it weighs hundreds of tons! The stones were so immense that neither mortar nor any other binding material was used between the stones. Their stability was attained by the great weight of the stones. The walls towered over Jerusalem, over 400 feet in one area. Inside the four walls was 45 acres of bedrock mountain shaved flat and during Jesus' day a quarter of a million people could fit comfortably within the structure. No sports structure in America today comes close. A number of years ago, leaders in a church decided to track down the congregation's drop-outs. They combed through the membership list, put together a list of names, and sent out volunteers two-by-two to knock on doors and invite the absent members back to church. As is often the case, the volunteer visitors discovered that most of the people visited had found other things to do on Sunday morning. One person said, "I would come back to church if it didn't conflict with my tennis time." Another said, "We came to church when our kids were involved. When they outgrew Sunday School, we stopped going." Another said, "I enjoy going to church on the really big days, like Christmas, Easter, and the Fourth of July. Compared to those days, other services are a little bit dull." One response was different. Two volunteers named Jack and Esther went to see a man whom nobody knew. He lived on the end of the street, in a big house behind three overgrown pine trees. It took the volunteers a few minutes to find the front door. All the curtains were drawn. It looked like nobody was home. Suddenly the door swung open, and a thin man with a shock of white hair said, "My name's Tarnower. What do you want?" They said, "We're from the church. We stopped by to see you." He invited them in. They explained why they had come. In a few minutes, he was shaking a bony finger at them. "I'll tell you why I don't go to church anymore. It's because I got in the habit of reading the Sunday Times before I went to the worship service." Esther leaned forward. "Tell us," she said warmly, "how did the newspaper keep you from coming to church? Did you get caught up in the sports section and lose track of time? Or the comics?" Mr. Tarnower looked at her with wild eyes. "No," he said, "I read the news. It's an awful world out there. There are a lot of diseases I don't understand. Wars break out. Families fall apart. Children run through the streets with handguns. People die prematurely. Listen, the world is falling apart, and the church can't do a thing about it." "Well," Jack said, "you ought to come back. We have a nice minister, a fairly good choir, and a Bible study on Wednesday nights. You might enjoy our program." "No," Mr. Tarnower said, "I don't think so. I get out for groceries, but that's all I want to face. I went to church for a while, but the world got worse. When my wife died, I decided to sit in here, watch everything fall apart, and wait my turn. I don't go to church anymore. The church has nothing to say." It is understandable that some Christians have grown impatient over the centuries, and have tried to speed things up a bit. I love what someone once said about the return of the Lord. "God did not put me on the Time & Place Committee; He put me on the Preparation Committee." Our job is not to speculate about times and seasons, but to make sure that we are living as God wants us to live - sisters and brothers to one another - here and now. Some folks are "so heavenly minded they are no earthly good." Tourists. As Mark 13 opens, the disciples are like tourists, gawking at the more striking features of "the big city" that they were visiting for the high and holy festival of Passover. If there had been cameras in those days, you can almost picture the disciples mugging for the camera in front of the magnificent opulence of the Temple. Little bands of tourists wearing bright orange hats would be milling through the plazas and colonnades of the Temple as tour guides with bullhorns shouted forth impressive statistics. "Some of these foundation stones weigh 5 tons and were brought into the city through the massive efforts of thousands of masons and slaves." Appreciative "Ooohs" and "Ahhhs" would follow each stunning stat. It was, all in all, a heady atmosphere. You couldn't help but look up to see the towering heights. When I've been in places like Chicago and New York City, I know full well that standing on a sidewalk and staring up at the towering heights of the Sears Tower or the Empire State Building is the surest way possible to have me be easily identified as a tourist. But I can't help it! I don't want to look like some hick from the outback who is bowled over by skyscrapers, but they are just so impressive. They simply dwarf you! And so I steal as many heavenward glances as I can. The disciples were like that. They don't want to look like simple fishermen from Galilee and the like, but let's face it: you just don't see stonework like this back on the farm. Their enthusiasm is so great that they cannot resist pulling Jesus into the action. Their master seems oddly unmoved by the ramparts and architectural heights of Jerusalem. He is the only one NOT craning his neck and mugging for the camera. So the disciples try to bring him around. "Teacher! Lookee here - isn't this one massive hunk of limestone!? Isn't the craftsmanship on these carvings impressive? Can you imagine what it must have taken to raise up such a high edifice!?" But Jesus meets their breathless enthusiasm with a shrug of his shoulders. "Yes, I see them. But you know what? Even the biggest of these stones will soon fall and be thrown down. One day, there won't be a single building to look at here." Scott Hoezee, comments and observations on Mark 13:1-8. Several years ago, Carl Reiner and Mel Brooks did a comedy skit called the "2000 Year Old Man". In the skit, Reiner interviews Brooks, who is the old gentleman. At one point, Reiner asks the old man, "Did you always believe in the Lord?" Brooks replied: "No. We had a guy in our village named Phil, and for a time we worshiped him." Reiner: You worshiped a guy named Phil? Why? Brooks: Because he was big, and mean, and he could break you in two with his bare hands! Reiner: Did you have prayers? Brooks: Yes, would you like to hear one? O Phil, please don't be mean, and hurt us, or break us in two with your bare hands. Reiner: So when did you start worshiping the Lord? Brooks: Well, one day a big thunderstorm came up, and a lightning bolt hit Phil. We gathered around and saw that he was dead. Then we said to one another, "There's somthin' bigger than Phil!" Is The Mule For Sale? Once upon a time there was a woman married to an annoying man. He would complain about everything. One day he went to the creek with his mule. He complained so much that the mule got annoyed and kicked him to death. At the funeral, when all the men walked by the wife she shook her head yes and every time the women walked by she shook her head no. The minister asked "Why are you shaking your head yes for men and no for women?" Her response was, "The men would say how sorry they felt for me and I was saying, "Yes, I'll be alright." When the women walked by, they were asking if the mule was for sale . . . "
"I Would Plant an Apple Tree"
Martin Luther was once asked what he would do if he knew that the world was coming to an end tomorrow, and he said: "I would plant an apple tree." In other words, Luther, trusting in God's gracious, unmerited mercy would live life just as he had been living it. When John Wesley was asked the same thing, being an obsessive-compulsive type, he said that he would arise at 4:00 AM, preach at 5:00 visit the sick at 7:00, go to communion at 8:00...etc., until the questioner realized that that was exactly what Wesley had planned to do tomorrow anyway! Because we believe that God is like Christ, we can dare to live in faith and hope and love now; trusting God for whatever the future holds, because we believe that God holds the future, and that God's Name and God's Nature are love. "Don't panic!" 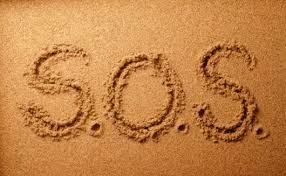 Those are the words I frequently say when someone has come to see me and they are in the midst of a crisis. They may have lost their job, had a marital crisis, a problem with a child, or found themselves in serious financial trouble. They are anxious. It seems like the world is caving in on them. They feel lonely and afraid. They can't see any way out of their predicament. It has been my experience over the years as a pastor that when folks are desperate they tend to run, quit or act in haste. I am not discounting their pain or minimizing the crisis, rather I am merely helping them to see that their perceptions have exaggerated the crisis. Or, they have a distorted perception of reality. This was the case with the disciples. They were being persecuted by an oppressive government. They were powerless and under immense pressure. All seemed dark and hopeless, so much so that they wondered if the "end" was near. They were desperate, blinded by their anxiety and totally unable to see into the future. They are no different than us. Whenever things are happening in the world of epic proportions, like hurricanes, wars, catastrophes or plagues there are those who believe that the world is coming to an end. Keith Wagner, Are You Having an Anxiety Attack? William Barclay wrote in his book The Mind of St. Paul, "The great value of the doctrine of the Second Coming is that it guarantees that history is going somewhere. We cannot tell how it will happen. We cannot take as literal truth the Jewish pictures of it which Paul used. 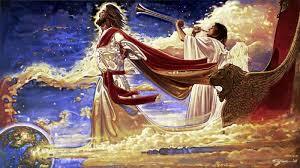 We need not think of a physical coming of Christ in the clouds, or a physical trumpet blast. But what the doctrine of the Second Coming conserves is the tremendous fact that there is one divine, far-off event to which the whole creation is moving; there is a consummation; there is a final triumph of God." In the Hobbit by JRR Tolkien Bilbo Baggins has met Gollum for the first time. Bilbo is lost and needs to find his way out of Gollum's cave. Gollum will show him the way out if he can answer a riddle. Bilbo is stumped. He doesn't know the answer to the riddle and after being pressured by Gollum says, "Give me time." Gollum hears the word "time" and mistakenly takes it as Bilbo's answer, which of course is right. Time devours all things, even massive Temples.